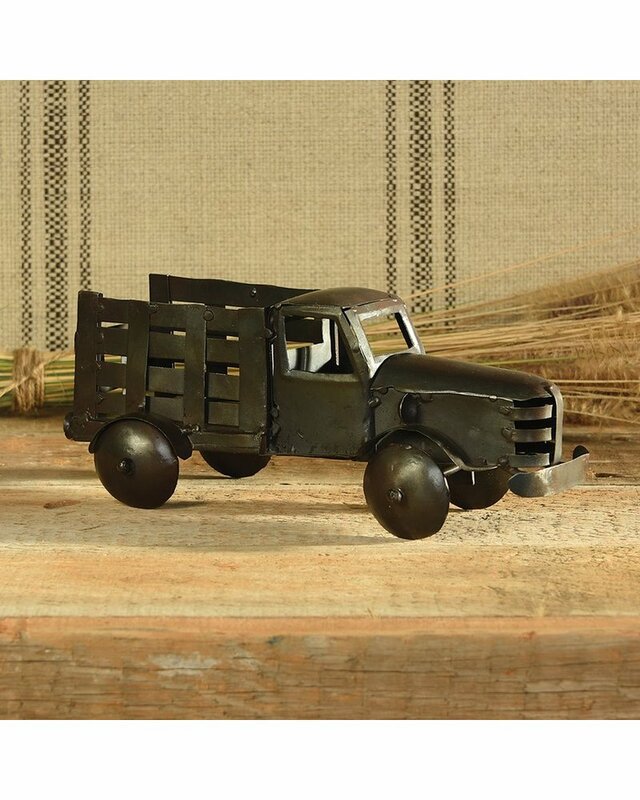 Natural metal takes the form of a rustic inspired farm vehicle. 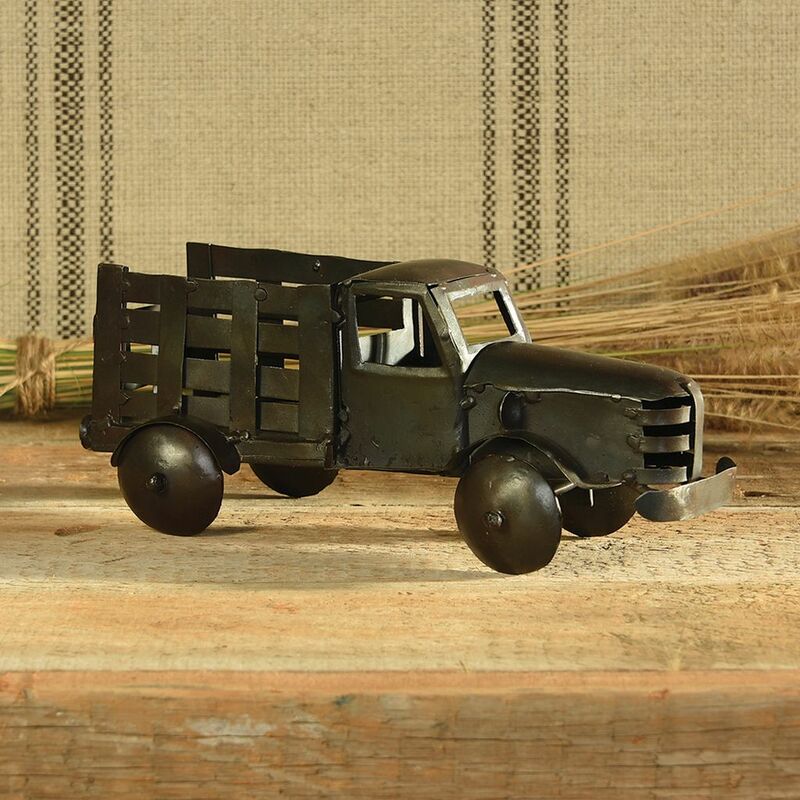 Place anywhere throughout the home or garden, letting the intricately crafted figurine speak for itself. Wheels move independently of truck frame allowing movement.